In addition to Google Pixel 2 Flipkart, Reliance Digital, Kroma, Ericsson, Sangeeta Mobiles, Vijay Sales and other offline retail stores will also be available. 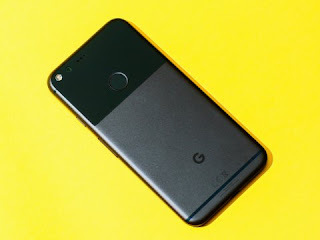 While the sale of pixel 2XL will begin on November 16. The price of pixel 2 starts at Rs 61,000 in India. This price will get 64 GB model. At the same time, the price of the 128 GB model is 70,000 rupees. The phone is getting 2 years warranty. The Fulacdi display phones 5 inches, Qualcomm Snapdragon 835 processor, 4 GB of RAM, battery 64 and 128 GB storage and 2700 mAh. The phone will come in the market with Android Orio 8.0. Speaking of phone camera, it is equipped with a rear camera of 12.2 megapixel f / 1.8 aperture optical and electronic stabilization. The front camera is 8 megapixels with F / 2.4 aperture. The price of Google Pixel 2's 64 GB variant will be Rs 61,000, 128GB variant will be Rs 70,000.